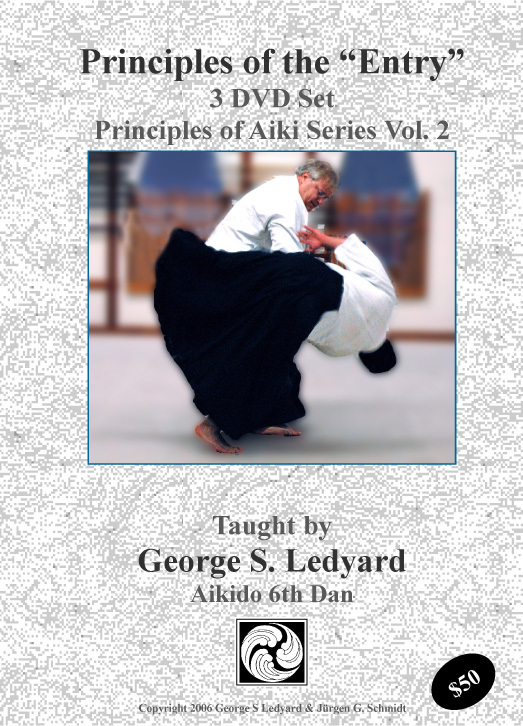 The latest addition to our video collection (see note below about format) of Aikido seminars conducted at Aikido Eastside by William Gleason Sensei, Aikido 7th Dan. 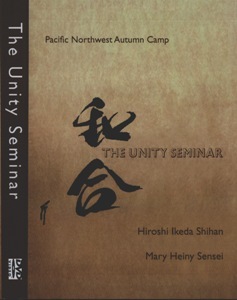 This title contains more than two hours of empty hand instruction focusing on body centered, detailed instruction on the principles of aiki and internal power. 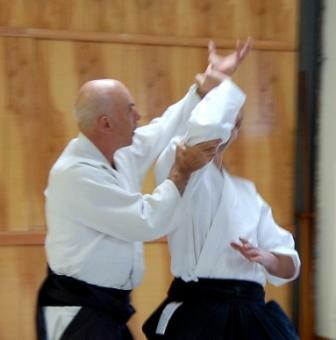 Gleason Sensei offers tips on how the create an “aiki body” using solo exercises, static connection exercises, and shows how to put the movement back into ones connection work. 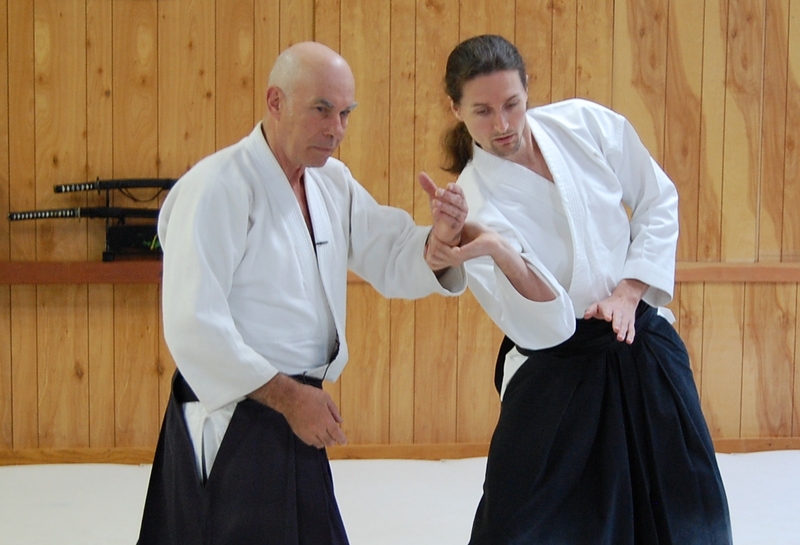 Additionally, Gleason Sensei covered more than an hour on aiki sword work. 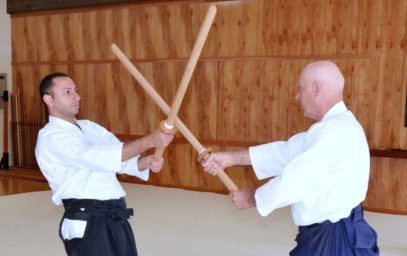 He showed his interpretation of a number of variations of Aikido Kumitachi (paired sword forms). William Gleason Shihan, the founder of Shobu Aikido, studied Aikido from 1970 to 1980 at the main world headquarters under Seigo Yamaguchi Sensei, one of the most gifted students of the founder. 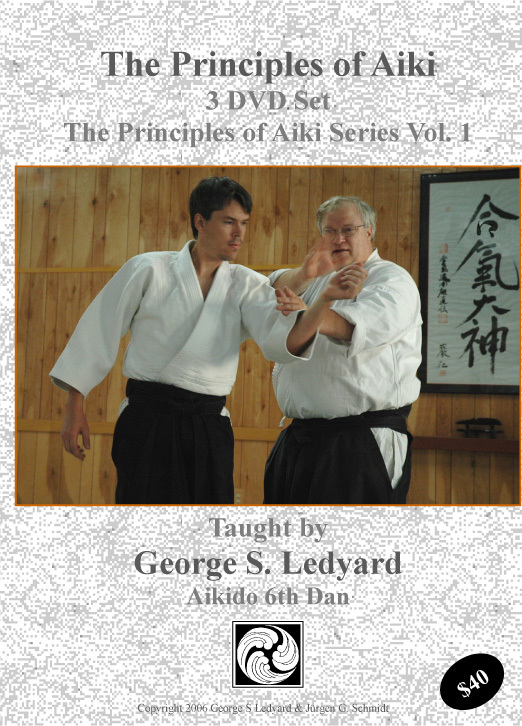 His first DVD, Aikido and Japanese Sword, shows how the movements in traditional sword work and those in Aikido barehanded techniques are essentially one and the same. 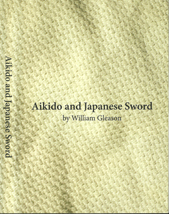 His second, William Gleason at Aikido Eastside, explores the secrets of aiki hidden within Aikido techniques.